H. Rick Bamman - hbamman@shawmedia.com Crystal Lake Central head coach Jon McLaughlin watches players practice on Wednesday, July 29, 2015. H. Rick Bamman - hbamman@shawmedia.com Crystal Lake Central kicker Michael Chen lines up to kick during practice on Wednesday, July 29, 2015. H. Rick Bamman - hbamman@shawmedia.com Crystal Lake Central head coach Jon McLaughlin speaks with his players during practice on Wednesday, July 29, 2015. 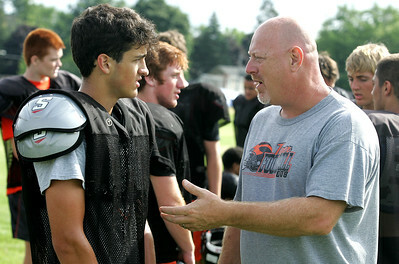 H. Rick Bamman - hbamman@shawmedia.com Crystal Lake Central head coach Jon McLaughlin (right) discusses positions with safety/offensive linebacker Richard Loagan during practice on Wednesday, July 29, 2015. H. Rick Bamman - hbamman@shawmedia.com Crystal Lake Central head coach Jon McLaughlin speaks with his players before the start of practice on Wednesday, July 29, 2015. H. Rick Bamman - hbamman@shawmedia.com Crystal Lake Central's tight end A.J. Pipiton (left) uses a blocking bad during practice on Wednesday, July 29, 2015. H. Rick Bamman - hbamman@shawmedia.com Crystal Lake Central defensive end Romeo McKnight just misses blocking a field goal attempt during practice on Wednesday, July 29, 2015. 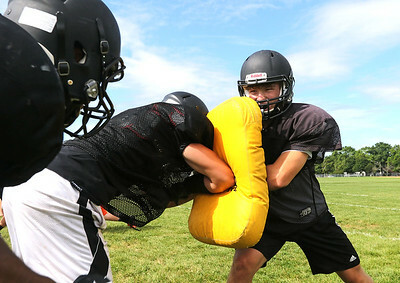 H. Rick Bamman - hbamman@shawmedia.com Crystal Lake Central's Romeo McKnight streatches with teammates during practice on Wednesday, July 29, 2015. 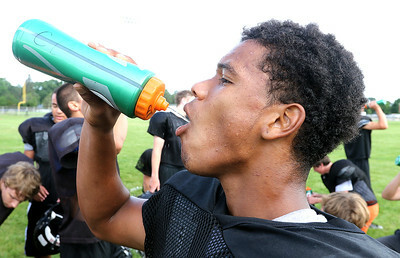 H. Rick Bamman - hbamman@shawmedia.com Crystal Lake Central's Aaron Sances hydrates during a brake in drills at practice on Wednesday, July 29, 2015. H. Rick Bamman - hbamman@shawmedia.com Crystal Lake Central's Aaron Sances (left) and Romeo McKnight (center) rush the line during practice on Wednesday, July 29, 2015. 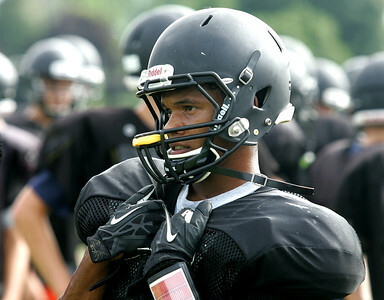 H. Rick Bamman - hbamman@shawmedia.com Crystal Lake Central's running back Aaron Sances at practice on Wednesday, July 29, 2015. H. Rick Bamman - hbamman@shawmedia.com Crystal Lake Central quarterback Shannon Madura fades back during practice on Wednesday, July 29, 2015. 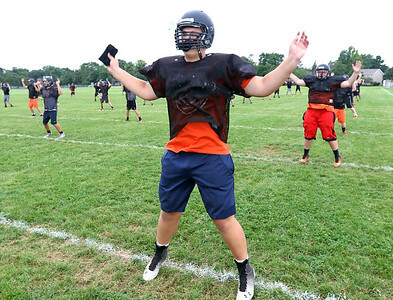 H. Rick Bamman - hbamman@shawmedia.com Crystal Lake Central offensive lineman Wyatt Blake works on calisthenics with teammates during practice on Wednesday, July 29, 2015. Crystal Lake Central quarterback Shannon Madura fades back during practice on Wednesday, July 29, 2015.